The term micro Chinese usually refers to a variation of the mini Chinese opening which includes the 3-4, 8-3 enclosure used as a bridging extension. In the mini-Chinese fuseki is at a. Because the extension is smaller it is called the mini-mini Chinese or in short form the micro Chinese. In Japan, this formation is called Rinsen Chuugokuryuu 臨戦中国流 because Kono Rin 9 dan often employs the formation with good results (Rinsen means 'ready for fights'). The term can also be used for other openings that include the 3-4, 8-3 enclosure. 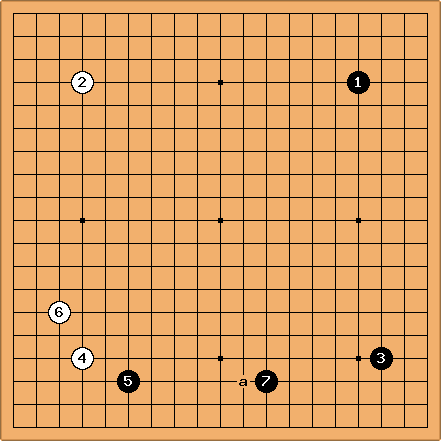 The same hybrid move at can be used as a variation of the low Chinese opening, as in this diagram. 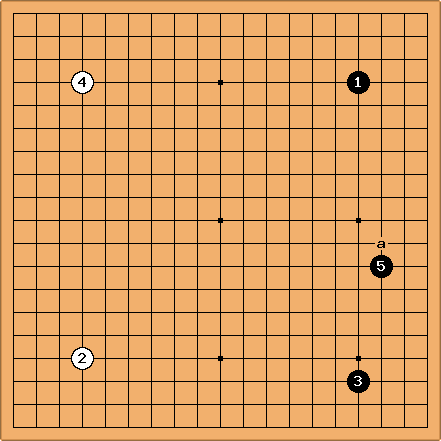 This opening is associated especially with Kono Rin, although the pattern has been played at least as early as the 1970s (by Ishida Yoshio). 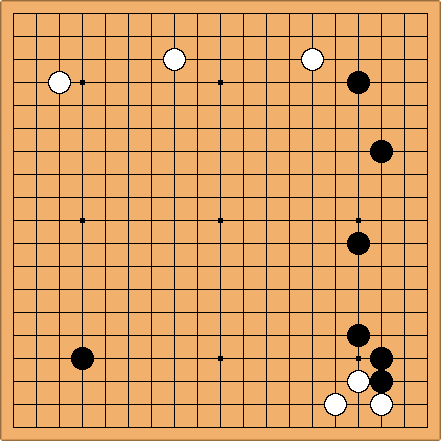 From GoGoD we retrieve this ancient game which also has the distinguished 3-4, 8-3 enclosure. 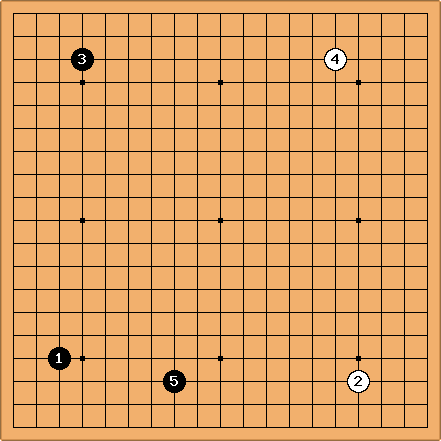 Also on GoGoD we find the micro-Chinese, here on the upper side, played by various masters throughout the 19th century: Shusaku (at least three games, after Ito Matsujiro? used it against him in 1842), Shuei, Shuho, etc.